Hi there...welcome back to day two of our July JustRite Papercrafts release. Wait till you see the beautiful stamps and dies we are showcasing today!!! 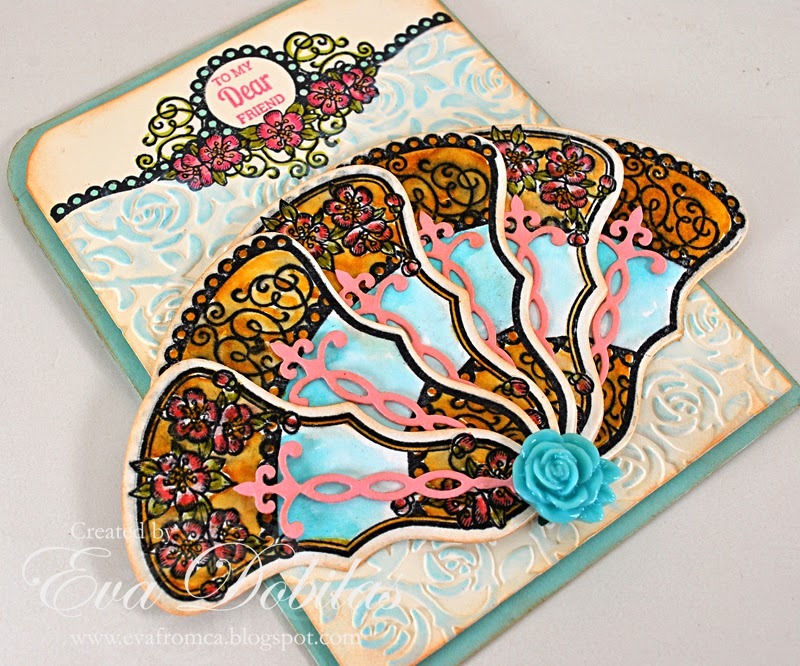 Today we share projects with Floral Fan Elements Clear stamp set that coordinates with Vintage Fan Dies. I had so much fun creating this card as you can see. The fan is just super fun to work with and because of the diverse designs you can create quite different looks. I watercolored my fan, so it looks quite old fashioned. I really love the stamp on the top part of my card, it just fit perfect on an A2 design. And once I was done with my fan I put a pretty rose button through it. My background was embossed with Spellbinders Cabbage Roses M-Bossibilities folder and I went over it with light blue ink. Here is what this gorgeous Floral Fan Elements clear stamp set looks like. 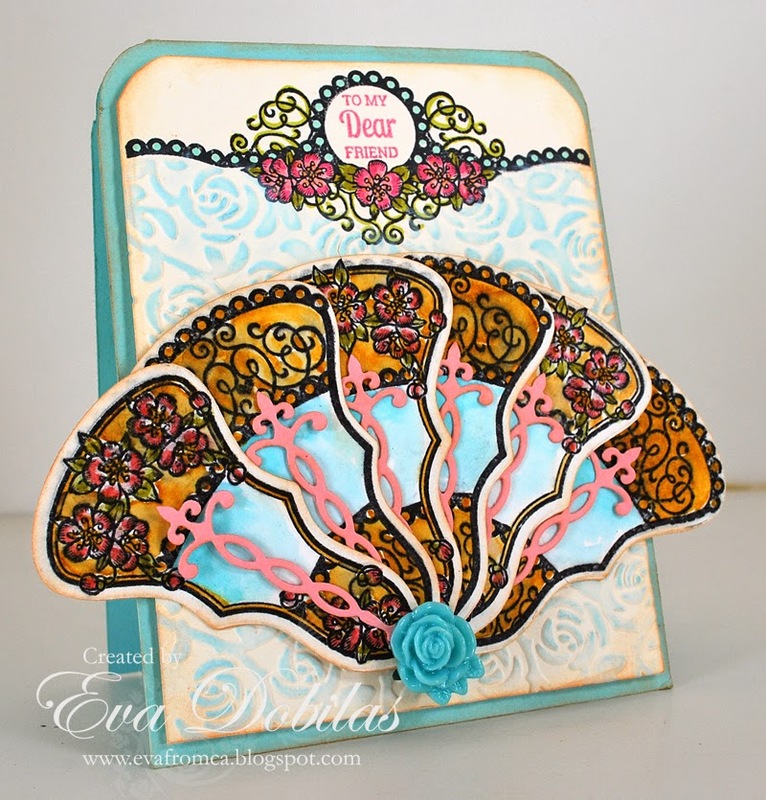 And here is the coordinating Vintage Fan dies. And now it's for you to check out what my team mates created with these new sets. I know you will love all the inspiration!! Well, that is it from me today. Hope you like what you see and come back tomorrow for more!